FabricLovers Blog: New Lazy Girl Designs Pattern! 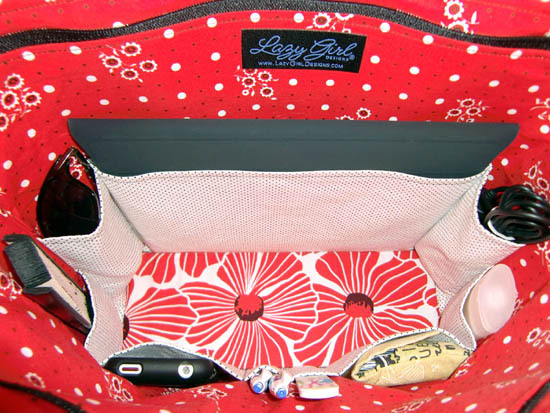 New Lazy Girl Designs Pattern! I love this new pattern by Lazy Girl Designs! 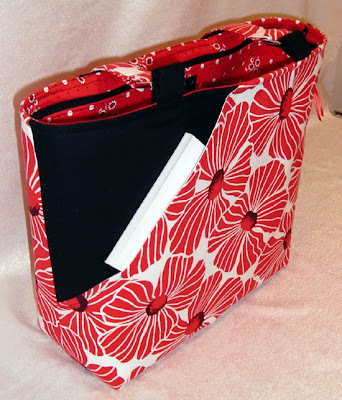 The Candice Purse has room inside to hold a tablet or eReader with plenty of room left over for your other things. It's not available in stores yet, but she should be here in early November. In the meantime, we are taking preorders on Candice at a special preorder price of $10.80 which is a savings of 10%. 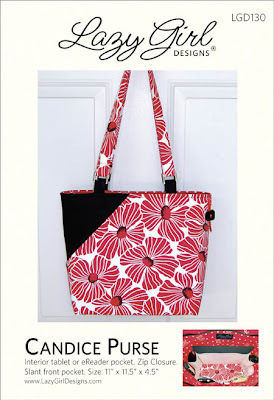 We also have Candice Kits that contain the batting, interfacing, Bag-E-Bottom, and purse hardware to complete your purse. If you order a Kit with a Candice pattern, we will give you 10% off your Kit price (for a limited time only)!